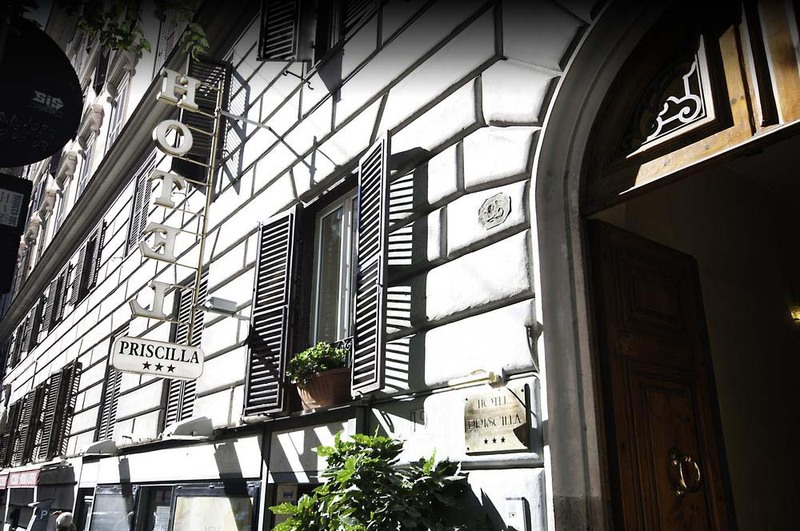 Hotel Priscilla is a welcoming 3 star hotel in the historic centre of Rome, situated in the Ludovisi Rione (district), one of the most elegant and exclusive areas of the Eternal City, close to Via Veneto, Villa Borghese, Spanish Steps and Trevi Fountain. 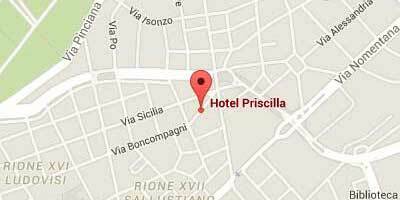 The strengths of the Hotel Priscilla are definitely the warm and familiar atmosphere that guarantees a nice service, the restaurant Taverna Priscilla always available to our guests for dinner, the strategic location for visiting Rome. These features, joined to the plenty of room choice make Hotel Priscilla the ideal solution for every kind of stay in Rome: a romantic weekend for two, a cultural holiday with family, a business trip, few days of shopping with friends in the most elegant boutiques of Rome. 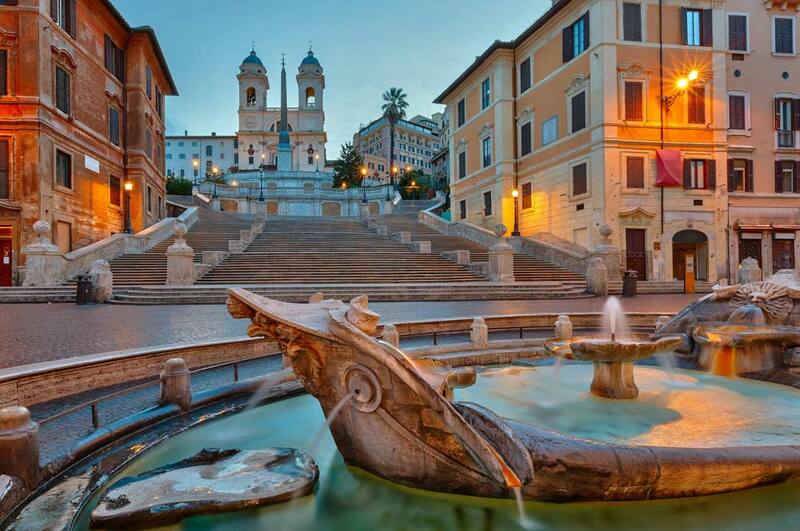 Book your holiday in Rome at the Hotel Priscilla, we look forward to enjoy you! The Hotel, recently renovated, has 47 comfortable and bright rooms of different types and sizes, suitable therefore for any need: single, double, triple and quadruple rooms, with floor, carpet or wood floors, high ceilings, all featuring a private bathroom with bathtub or shower. There is the possibility to choose rooms overlooking Via Calabria or Sicily, or on the inside of the building. We have family rooms and rooms for guests with a disability.